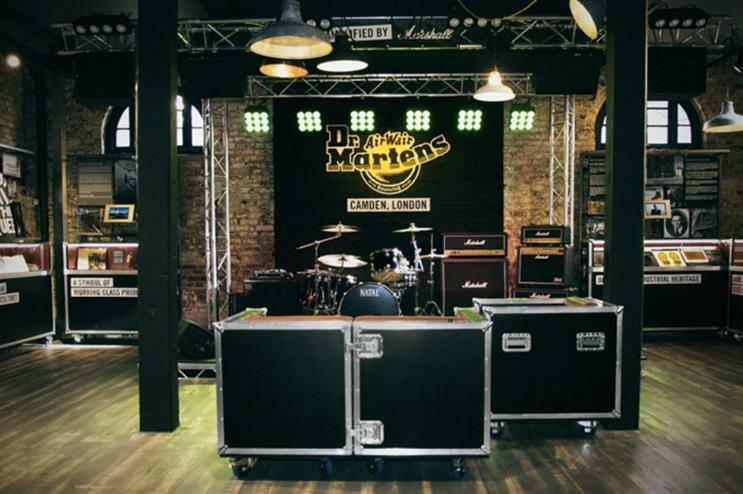 Footwear brand Dr Martens has opened a new 'experimental' store in Camden, which aims to give shoppers the full experience of the brand. The 4,000 sq ft store features artwork commissioned by the former bassist from The Specials, Horace Panter, as well as a Gif booth and a customisation area where visitors can personalise their Dr Martens. A virtual reality (VR) station, powered by Oculus, takes guests on a tour of the brand’s original UK factory. There is a music space, in partnership with online radio platform Mixcloud, which has been set up to host a music programme throughout the year. The store is located in Camden Market and has been set up in a grade II-listed 19th-century building. The brand is keeping many of the building's original elements in tact, inviting guests to experience a stripped-back, industrial environment that fits with the Dr Martens ethos. More: Samsung will launch an experience store in Toronto this summer, inviting customers to test out its more immersive store to date. Last month, B&Q celebrated the opening of its first high-street store with a 3D art installation on Holloway Road.